Questioner: There is a matter, O Shaikh; it happened recently with us that some of the Shaikhs came to us in the summer vacation, Shaikh Muhammad Ibn Hādī, Muhammad al-‘Anjarī from Kuwait, ‘Abdus-Salām Ibn Burjis from Riyadh. 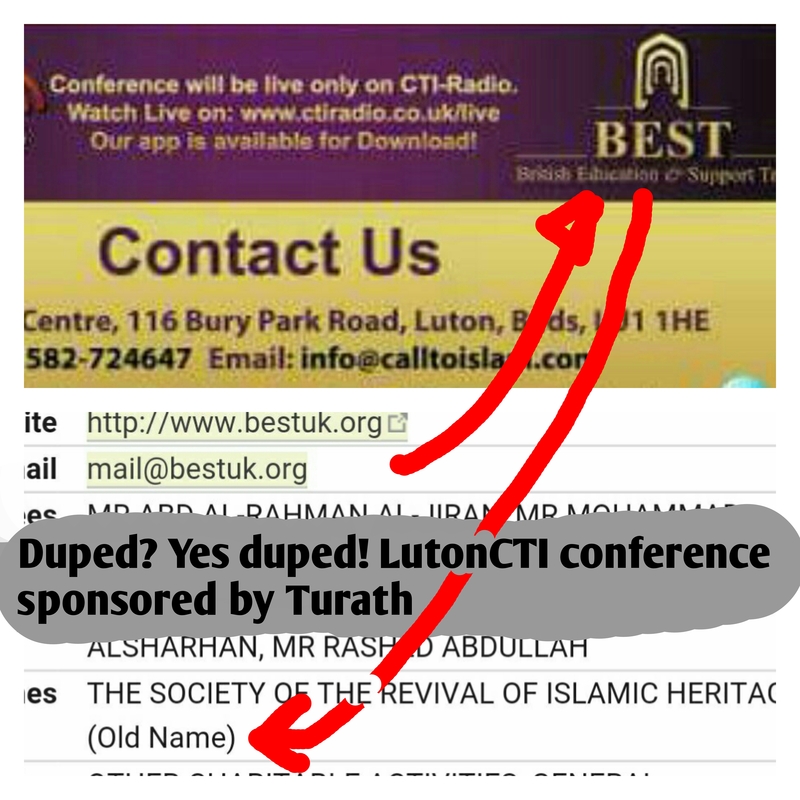 Shaikh ‘Ubaid: Yes, I know about that. 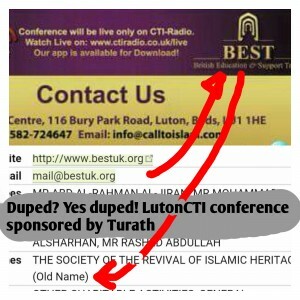 So a conference took place there, as Allāh willed. Yes, news about it reached me. It was something good. Questioner: So the Shaikhs warned us, O Shaikh, about certain individuals and groups. So from them was Jam’iyyah Ihyā at-Turāth, so with regard to Ihyā at-Turāth there are some brothers who work along with them, and some are cautious and warned from them. So it is as if the brothers there are split into two: A group who want to work along with them; and another group who do not want to work along with them, and they [the latter group] are the ones who act upon the warning. So we would like your advice, O Shaikh, in this matter? Shaikh ‘Ubaid: May Allāh bless you! To begin with all of the calls, all of the Jamā’ahs that have newly come about, all of the Jamā’ahs that have newly appeared for da’wah are upon misguidance. And all of them derive their principles in ‘aqīdah and manhaj from their founders. So the Jamā’ah al-Ikhwān al-Muslimīn had its principles laid down by Hasan al-Bannā the founder of the Jamā’ah. And Jamā’at At-Tablīgh had its principles laid down by Muhammad Ilyās al-Kandahlawī. As-Surūriyyah who are called Al-Qutubiyyah are a slice from Jamā’ah al-Ikhwān al-Muslimīn but they follow the thinking of Sayyid Qutb, the Egyptian, who wrote the book, “In the Shade of the Quran” and other works; and they perform takfīr. Meaning, Sayyid Qutb is the bearer of the banner of takfīr in this age. As for Jam’iyyah Ihyā at-Turāth, it is deviant! And many people will be fooled by it – it publishes some of the books of the Salaf, and it publishes alongside that the books of those who are astray such as Sayyid Qutb. It also sends deputations [around the world]. So in some directions they send Salafīs and in some directions they send Qutubīs or others. So it is a Jamā’ah which plays a double game and which takes on two appearances. This is a strategy they employ to gain people. But the true Jamā’ah which it is obligatory that every Muslim be under its banner, even though they live in different locations is the Salafī Jamā’ah. So the Salafī Jamā’ah, O my sons, was not founded by anyone. It was not founded by Shaikh Muhammad Ibn ‘Abdul-Wahhāb in Najd, nor before him by Ibn al-Qayyim, nor Ibn Taimiyyah, and before them, not Imām Ahmad Ibn Hanbal, nor Shāfi’ī, nor Mālik, nor Abu Hanīfah, nor the Companions, nor after them the Tābi’īn, nor before them Muhammad (may peace and blessings be upon him). Rather it is from Allāh! So Salafiyyah is the Religion in its pure state, the pure Religion since it does not take its principles except from the Book, the Sunnah, and the ijmā’ of the Salafus-Sālih: who are the Companions, the Imāms of the tābi’īn and those after them such as the four Imāms, and the the likes of ‘Awzā’ī, and the two Sufyāns, and the two Hammāds, and others. So what I advise you with. Firstly, O my sons is to seek knowledge. Learn the knowledge! Do not lose your appetite for knowledge as long as you are here in the City of the Prophet, in the Islamic University, or other institutions in Saudia Arabia, that propagate the Salafī da’wah, and all praise is due to Allah. This is firstly. Then when you go back to your lands study together and teach your brothers and your children the knowledge of the Sunnah. The second matter: Call to Allah, and strive for the rectification of the peoples’ ‘aqīdah and manhaj. Work hard for that – each one according to his capacity, and according to the weight he carries in his society, according to his personal capacity and his knowledge. Then the third matter: Be gentle with one another, advise one another. Because the Jamā’ahs of hizbiyyah, such as Jam’iyyah Ihyā at-Turāth and it is in reality a group that gather together rubbish! It contains Ikhwānīs and Qutubīs; indeed we have documented proof that they seek the help from the Rāfidah in calling to Allah, yes, from the Rāfidah! We have documented proofs. I say the Jamā’ahs that have newly appeared for da’wah try to split the ranks of the Muslims and especially they seek to split the ranks of the Salafīs. So be aware of this, may Allah bless you. And do not co-operate with any of the Jamā’ahs – whether it is Ikhwānī, Tablīghī, Surūriyyah or Ihyā at-Turāth. Do not co-operate with them in the field of calling to Allah at all because they will use this from you to strengthen their deviant da’wah activities. So you should call to Allah. If one of you becomes an imām of a mosque, then let him utilize that, and let his brothers rally around. And whoever is a teacher, then let him utilise the field of teaching, and call to Allah upon the Salafī Manhaj and the Salafī ‘Aqīdah. This is my advice to you, may Allah bless you.